Hey, remember a little series called Shenmue? An epic so large that two multi-disc spanning Dreamcast games didn't even scratch the surface of what Yu Suzuki envisioned? Fans have been clamoring for Sega to let the series reach some sort of conclusion for years now. If you guessed 'with an MMO browser game that has little to nothing to do with Ryo Hazuki's quest to avenge his father at all', then congratulations, you're Sega's target audience. 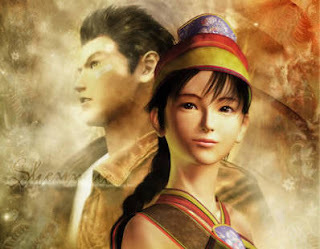 According to an interview with Shenmue's creator in Famitsu, "Shenmue has the image of grand scale," said Suzuki. "But making something of grand scale requires appropriate preparation. I want to make 3 with the same volume as in the past. There have actually been a lot of requests from fans for 3 as well. There were even petitions signed by by tens of thousands of people. I wanted to carry out my obligations for the series." So, don't hold your breath for a conclusion any time soon. Sakura Wars is Sega's next lucky victim. As reported in Famitsu, a Sakura Wars browser game is in development; a joint project between Red Entertainment, Trinity Game Studio and Rockworks. 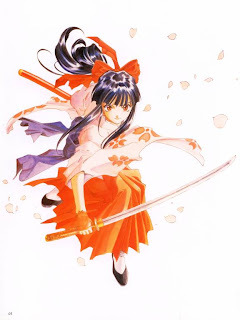 I don't suppose the utter failure of Sakura Wars V: So Long, My Love both abroad and in the US was any help, though. Just stick to publishing, Sega. I'd rather your franchises stay dead then have their corpses exhumed and defiled further. Hey, I bought SW5. I made the mistake of trying to think about it in a semi-realistic sense and it broke my brain when they launched the mechs for the first time (They're supposed to be a SECRET ORGANIZATION! Anyone can see that their headquarters is in the middle of the city IF THEY JUST LOOK OUT THE WINDOW AT THE STREET LIFTING OUT OF THE GROUND...) and then I remembered it's just steampunk Tenchi Muyo crossed with Sailor Moon and was able to enjoy the game. Still, I own the SW anime on DVD(TV and OAV), and it wasn't quite as batshit insane as SW5. Did they up the wackiness because it's America, or are the other SW games like this too? It seems a bit weird, because it's serious some of the time but completely bonkers (even by anime standards) at other times. This may be what put some people off the game. Sakura Wars is consistently like that in terms of craziness. V just happens to take place in the US, which is why it bombed in Japan. As for the US, I wish I knew. It's a genuinely great game with a solid localization(arguably NIS' best ever). I think you've made a mistake here. The shenmue MMO and the new shenmue 'social networking' thing are two different things, but i understand what you mean nontheless. Sega have a long history of messing up. Isn't the new Shenmue coming out a cell phone game and has nothing to do with Sega? I thought the MMO was canceled years ago? It's a social networking game on mobile phones. I consider it essentially an MMO. I'm sorry but your writing here is a bit deceptive. I'm not sure if you can direct link to the actual articles on Andriasang or not, but if you can, that might help. Sega licensed SW/ST to Rocworks. Sure, Sega should accept some blame for not looking out for the best interests of their IP but it isn't as if they are directly responsible for the creation of this particular title. Red, who has worked on the series in the past, should also accept some of the blame here. Next, Shenmue. Please don't forget that the mastermind behind the series, Yu Suzuki looks to be responsible for the direction this franchise may be headed (quoted from an andriasang article "Suzuki was in this state of mind when Mafia Wars entered the picture. He got the chance to try out the popular social game, and while he initially didn't understand what was going on, he eventually came to enjoy it..[in reference to Shenmue City]." From what I have read, I'm not even sure where Sega enters the picture at this point in relation to Shenmue City. I think you need to be a little more objective. I think you underestimate how much involvement Sega has in projects like this. They provide the funding, and I'm sure they provided no small amount of subtle nudges for Red and Suzuki to take their games in that direction. And you have proof of this? Isn't Sunsoft the one publishing this whole Shenmue City thing? I find this humorous. People complain about Japanese game developers not being able to keep up with new trends and developments in gaming, but when a company uses their well-known franchises to enter the hugely successful browser-game market, people still complain. Just sayin'. Does the core-gamer audience have to like this? No; I certainly don't. Does it make sense from the business side of things? Hell yes. ^It seems like it may a method of potentially gauging interest in Shenmue, and if all goes well, something more substantial could be seen in the future. Also,I've been checking around a few Shenmue forums and it seems to me that the overwhelming majority seems to be pretty receptive to this announcement.